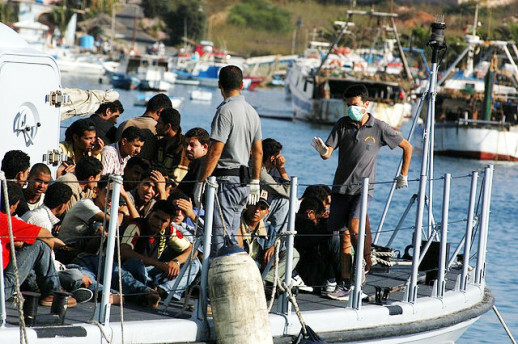 Rome has warned Brussels it will not be able to continue the €9 million-per-month Mediterranean migrant search and rescue missions indefinitely after 260 people were thought to have drowned in the sea this weekend in two migrant boat failures. It was a furiously busy weekend for the Italian navy and coastguard, working on operation Mare Nostrum (Our Sea) which was launched after 360 people died in the Lampedusa tragedy last October. Italy’s interior minister Angelino Alfano gave a public warning to the EU on Sunday that Mare Nostrum would not reach its second anniversary if Italy continued to be the sole funder of the operation, according to The Guardian. „The worse the problem of the Mediterranean border becomes, the more it becomes clear that Mare Nostrum must be replaced by a European action,“ he told Corriere della Sera. The EU has been criticised by human rights groups for ‚playing for time‘ while migrants continue to flee across the Mediterranean with such a high chance of fatality. A special EU leader’s meeting to address the issue after Lampedusa ended without clear resolve.